To equip and empower children to reach their full potential by building resiliency and giving hope. 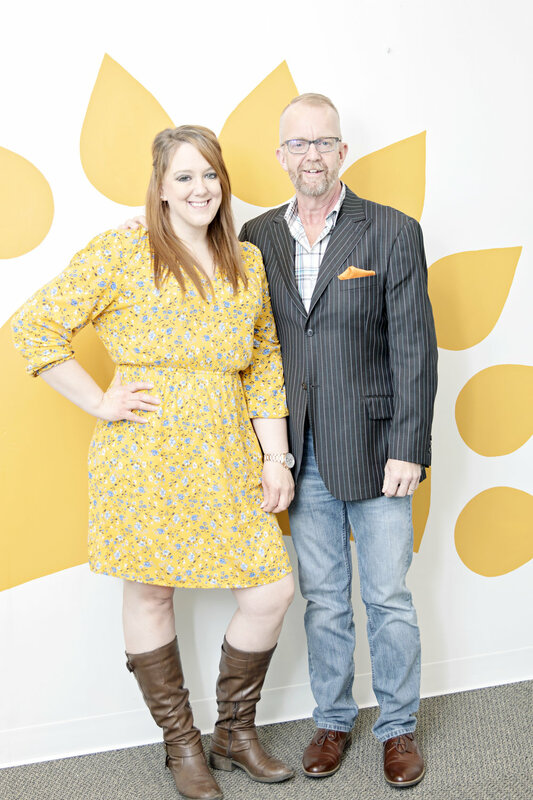 The Brightside Project, a faith-based 501c3 non-profit organization, was launched in 2016 by a father-daughter team, Scott Lewis and Lisa Wallace. With over 2 decades combined of experience working with low-income and underserved families they decided to launch a non-profit that would reach out directly to children. Children in Columbiana County and surrounding communities in Northeast Ohio are hurting. They are struggling to see a bright future as they battle against hunger, poverty, drug abuse, neglect and complex emotional and mental health issues. The Brightside Project was launched to meet the needs of these children. We know that they have basic needs that need met with food and personal care items. We know they have social emotional needs that can be met through mentorship, friendship and love. We know that these children experience dark moments in life but even in the darkest times we can show them there is a brightside. Our goal is to meet the basic needs of children in Columbiana County through food, clothing and personal care items so that we can begin to meet their social emotional needs through mentorship, friendship and love. We believe that the programs and services we offer will equip and empower children to reach their full potential by build resiliency giving them hope. Scott Lewis is the co-director and founder of The Brightside Project in Northeast Ohio. Before he began The Brightside Project he was the founder and director of another large nonprofit in Youngstown, Ohio, for 12 years. Scott said he started The Brightside Project because many children in community live in poverty and in homes where parents use drugs. He wants our children to know there is a way out of those hard places. Along with Scott Lewis, Lisa Wallace serves as co-director of The Brightside Project.